Have you been looking for some great Sunday brunch because we are here to help! There are plenty of good options – these are our picks for the top 5 brunch spots in Leslieville. District 28 has until recently been a spot for personalized bowls and sandwiches made to order during weekdays. 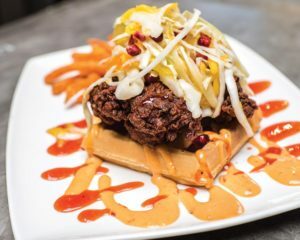 They only recently launched their Sunday brunch menu this past Mother’s Day but with some mouth-watering entrees like their Jerk Fried Chicken and Waffles and their Apple Pie French Toast District 28 is quickly becoming a town favourite. District 28 offers kid-friendly meals as well like a Double Decker Peanut Butter and Jelly Sandwich and Golden Dollar Pancakes. They have created a child-friendly space without disrupting their quaint, inviting atmosphere. This one is for the Bacon Lovers out there, Rashers is more than just a sandwich shop. They use “the best cuts, cures, and flavours” to make your ideal sandwich. Taking from both their British and Canadian heritage- Rashers is a bacon and sandwich lovers paradise. The menu features some great choices such as The Full Monty; British style bacon, fried egg, fried tomato & fried mushrooms on a bun with homemade brown sauce. As well as the Beer BLT; smoked strip bacon with romaine lettuce, fresh tomato & homemade beer mayo on a warm ciabatta. 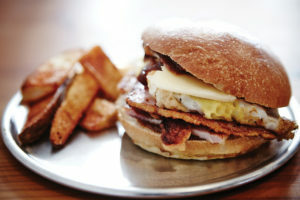 With sandwiches like these, it is definitely worth checking out. 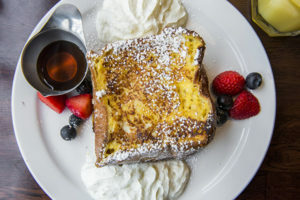 With a specialty brunch menu now available Lil’ Baci is a great option for a brunch meal. Their menu includes Italian twists on traditional brunch meals like their Scrambled Truffle Eggs and their Eggs Benedetto as well as great Italian pizzas and sandwiches. Lil’ Baci will have something to match anyone’s taste buds. You can not talk about brunch in Leslieville without mentioning Lady Marmalade. Simply walk down Queen street during brunch hours and you will see a line outside Lady Marmalade. 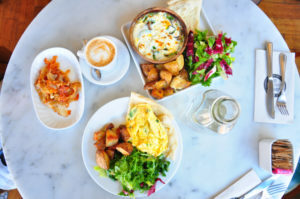 They unfortunately do not take reservations but their creative and delicious breakfast and lunch options can make Lady Marmalade well worth the wait. 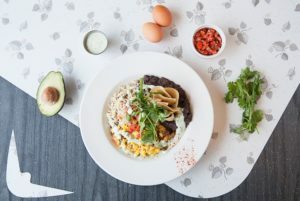 Yaya may seem like a traditional brunch spot but their gourmet breakfasts, sandwiches, and salads will be more than enough to whet your appetite. Yaya uses only fresh local ingredients in order to provide healthy and tasty options to Leslievillians. Yaya is proud to boast their organic menu can meet all daily requirements for a healthy lifestyle. 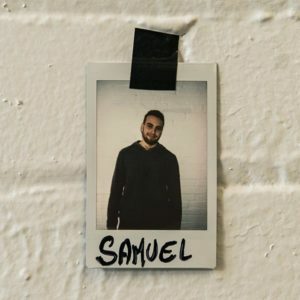 Hi, I am Samuel Gluck, I have been working in Leslieville for about a year and I have fallen in love with the city. My current role is Marketing Manager at HLMDigital.ca We are a fast growing marketing agency and we are always looking for new challenges and opportunities.